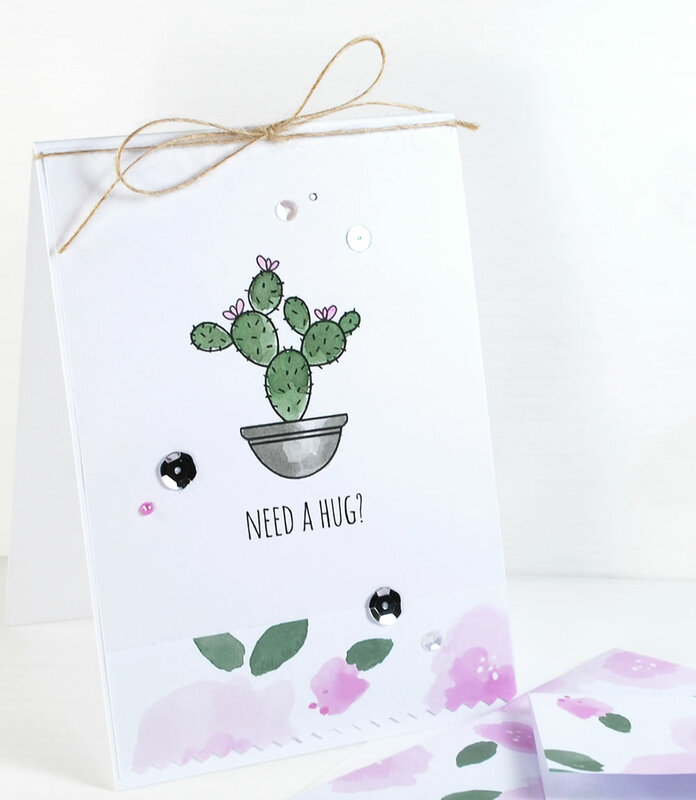 Patterned Paper: 'Sweet Succulents' Designer Digital Paper Pack printed onto plain White Paper. 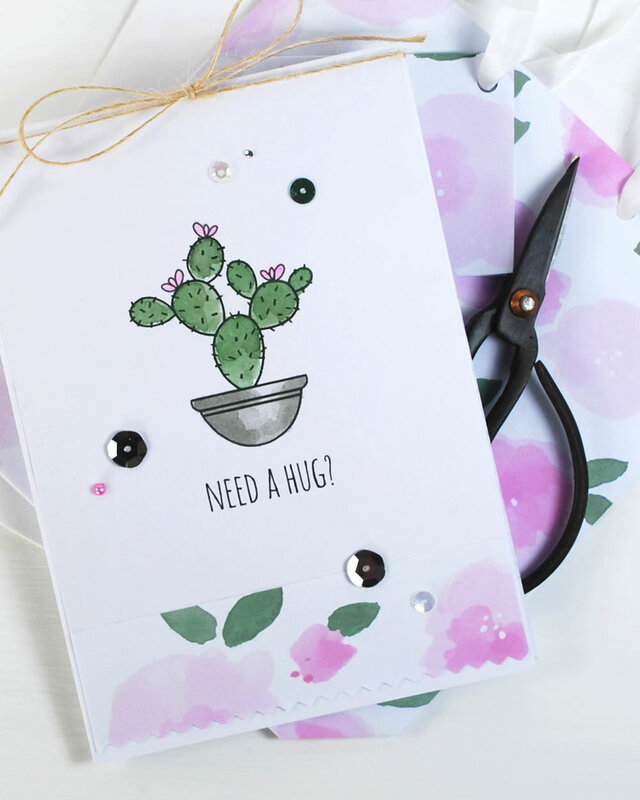 Image with Sentiment: 'Sweet Succulents' Digital Image Stamps printed onto White Watercolour Card. Coloured with Watercolour Paints. Natural Kraft Twine & a selection of small sequins & crystals.